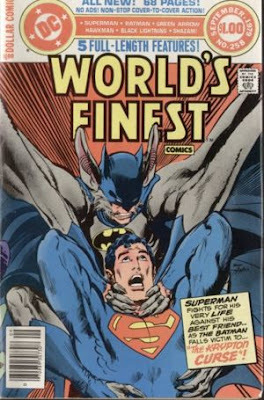 “The World’s Finest” #258 was the first comic I remember ever reading. As I said in one of my earlier entries here, I’ll occasionally be talking about my love affair with comics. I’ll be honest, other than the fact that Neal Adams did the cover for the issue and that I believe Denny O’Neil wrote the lead story, I don’t remember a whole heck of a lot about the issue. I do think Batman did turn into a bat creature and fight Superman as the cover implies. And let’s face it, that’s the kind of awesome craziness you just don’t fine in many other places than comics. My early memory of the issue is that I think my older brother Craig owned it and he’d let me read it and I thought it was awesome. Neal also drew the cover to a phonograph record collection of Batman stories that we wore out a couple of times over. 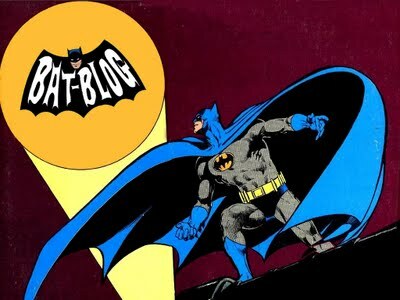 I found the cover to it altered here to read “Bat Blog.” I’m pretty sure that wasn’t the tile of the actual record back in the mid-seventies. I didn’t realize until much later in life how influential Adams’ artwork was on me and my love of comics. I certainly enjoyed his work, but also the work of many artists who were inspired by him. Later, I would be fortunate enough to get to work with Neal. While I was at Marvel, I called him up cold and asked if he’d do a cover for me. Much to mu surprise, he said yes. Then I had to go fine one! After that, he did several more for me while I was there and we almost got a six-issue series off the ground, but it wound up falling through. Ah, well. Also, of interesting note is that “The World’s Finest” #258 was written by Denny O’Neil who I would also have some really great dealings with later in my life. When I was teaching college courses for Webster University in St. Louis, I called O’Neil and asked him if he’d consider flying in to talk with my class. Turned out his wife had graduated from Webster and so they were happy to come. I spent a couple of days hanging out with the O’Neils and talking shop. He flat out told me not to get into comics. I told him that if the industry was dead in ten years as he predicted, that I’d find another passion at that time. He was nice enough to hook me up with a face-to-face interview with Mike Carlin, then DC Comics Executive Editor and get me an interview at Marvel as well (he and Marvel Editor-In-Chief had co-created Azrael for DC Comics a couple of years prior). Even though I had interned at Marvel, Denny got me back in the door again. 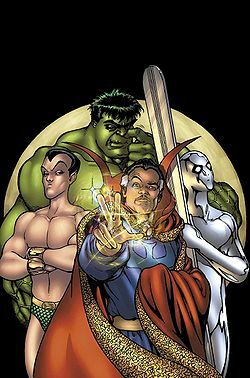 It was that trip to New York that led to my getting hired at Marvel as an assistant editor back in 2002. So, just a little weird how that turned out. First comic I remember reading, and eventually, I wound up with great experiences with both of the comic’s creators. I’ve heard hundreds of similar stories about the comics industry. It seems to me that our little nook of the entertainment industry is just far enough a field, even now, that it’s a darn nice place to work. The comics industry has a lot of good people in it and I’m lucky to be working with them. Coloring Comics with Chris Sotomayor Coming In January! Sign up Today! Comics Experience is offering its first online coloring class for would-be colorists, people interested in editorial work, artists of all kinds, and professional colorists looking to refresh and hone their skills further. The class is being co-taught by Chris Sotomayor—colorist supreme for almost every major company in the industry—and Andy Schmidt, Comics Experience founder and comics editor. Why am I writing this like a press release? Let’s cut to it—the class is going to be awesome! Chris is an extremely engaging speaker and you’ll be able to follow along with him at all times through the class. You’ll watch as he explains what he’s doing, you’ll be able to ask questions in real time, and you’ll be given professional pages to work on your self. And what’s better, is that Chris and I are going to be there with you every step of the way, teaching a method of coloring that’s proven to be effective for hundreds of colorists. If you’ve ever had an interest in comics coloring, this is the best way to get started—either to pick up coloring work with publishers or to just work on your own art. 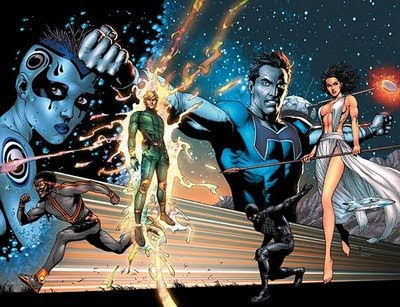 If you’ve a penciler, this course will help illuminate some of the mysteries of coloring and get you ready to more exactly speak with and work with your colorists. And don’t forget all the behind-the-scenes stuff you’ll get too. Okay, enough selling for me today. Honestly, the class speaks for itself. Give it a try or sign up a friend or loved one as a gift for the holidays! Jump on over to the courses page and join in the fun! PS. I've attached some Chris's coloring work to this article. Hope it shows a fraction of his talent! Now go buy the book! TRANSFORMERS #1 is on sale now! Get it before it’s gone! I’ve recently been dealing with one of the most frustrating aspects of the comics industry—marketing. 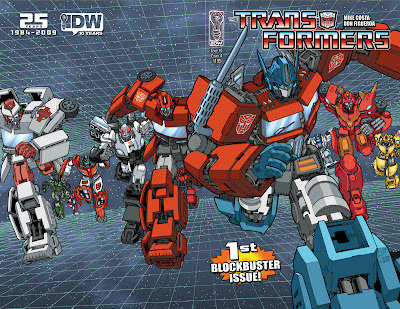 IDW with Hasbro is launching a new TRANSFORMERS ongoing series, which you’d think would be pretty big news (and it certainly is! ), except that the comics industry is a tough place. There’s new stuff all the time. So, there’s an assumption on the part of many publishers that we should keep secret our plans and events and such to blow the fans away when they read it. Great idea. In an ideal world, I’d be right there with you. But this is Earth, where few things are ever ideal. And the reality is, the only way to blow a reader away is if he or she actually reads the book in question. Now comes in the marketing. As a publisher, I don’t just have to convince the reader to buy the book. I also have to convince retailers to order the book in larger quantities. So, really, I have to sell the book to retailers BEFORE I sell it to the readers. This means that I’m constantly trying to have two conversations at the same time—one with the readers (and potential readers) and another with the retailers. Why are they different conversations? Pretty simple. I need to convince the readers that they want to READ it! Right, that’s obvious. But at the same time, I also need to convince the retailers that they can SELL it. Many (not all) retailers started their businesses as fans. 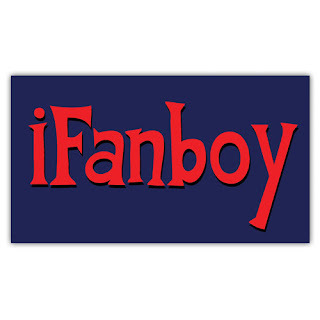 That means that they will frequent the same websites as fans for information about the books coming up. Diamond Distributors also allows most of its information that (in my opinion) should be given only to retailers, to go directly to the fans. So, that means I’m trying to have the two conversations mentioned above at the same time, in the same forum. 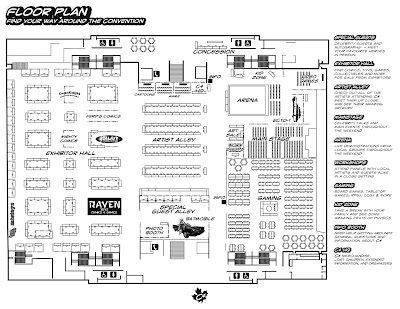 Retailers can read what I’m trying to communicate to fans and fans can read what I’m trying to communicate to retailers. Why is that a problem? Well, I’d like to tell retailers certain things to help them sell the books I’m working on or publishing. But, at the same time, the reader is going to get agitated if I say too much about the content. It’s a delicate balance and a hard one to get right. So, in the case of TRANSFORMERS, I’m really pushing it to retailers for the most part. But I went too far and almost ignored the fans. Like I said, a delicate balance. But the news is out there now. Ironhide, a major TRANSFORMERS character is getting killed in the first issue. Really, that’s to help the retailers sell the comic. 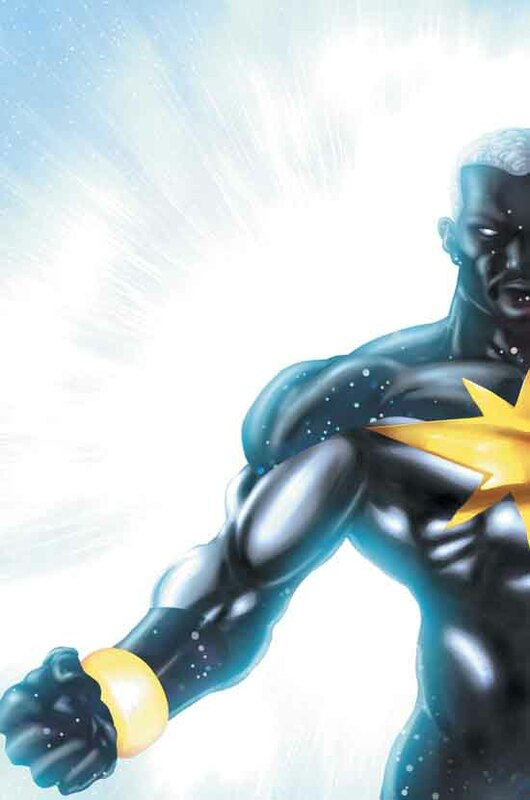 On the flip side, if that event just sold the comic, the readers would be pretty darn angry that we just killed a favorite character as a stunt. So, as the editor, it’s my job to make sure it’s not a stunt (it’s not). 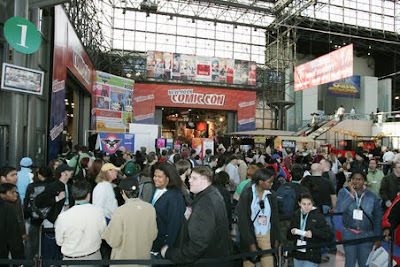 A good publisher is communicating with both retailers and fans at the same time so that its retailer partners have the tools to sell the books the publisher is shipping to them, and simultaneously, is communicating with the readers so that they want to buy the books before they even step foot in the comics shop that week. When marketing is clicking, you’ve got retailers pushing the comics and you’ve got fans pulling the comics. It’s not a new strategy. Heck, when I was getting my masters back in 2000 in media communications, I took many a marketing class and that’s one of the first things you learn. But the point is, in the comics industry, unlike most others, what is normally two separate conversations is actually just one big one. 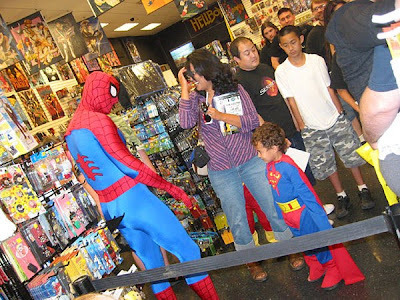 It makes giving retailers the proper tools to sell the comics difficult and it makes pumping up the fans difficult too. That all said, it’s not impossible to navigate. It’s just difficult. With more and more publishers making cutbacks, marketing is usually one of the first things to go. And as such, it’s sometime up to individual editors to reach out to the buying audience directly, and for the most part, we’re not trained to do that effectively. Anyway, it’s been on my mind recently, so I just thought I’d share my observations. P.S. 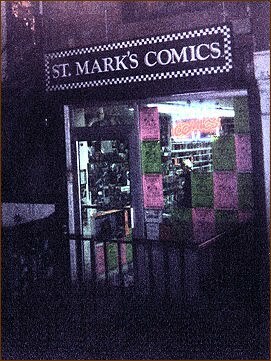 I'd like to thank Atomic Comics, Jim Hanley's Universe, Midtown Comics, and St. Mark's Comics for the use of their images (which, honestly, I didn't ask for, but I figured they wouldn't mind the promotion). They've all been great places to shop over the years! I figure I’ll occasionally talk about what comics I’ve been reading lately. As noted on the November 5th entry, I was recently reading “V for Vendetta”… yet again. But that’s not what I’ve been reading for the last week or so. 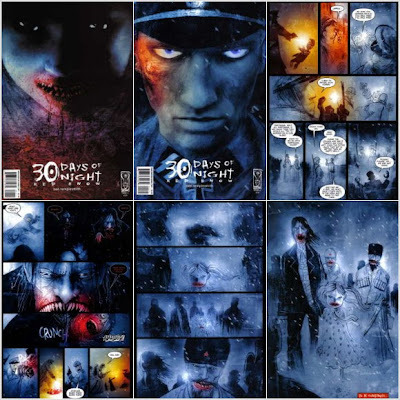 On Halloween weekend last week I started reading the first “30 Days of Night” collection. Now, one week later, I’ve read every collection save one—the last one published, “30 Days ‘Til Death” but I’m sure I’ll finish that by Wednesday. There were a couple of reasons I jumped onto these. 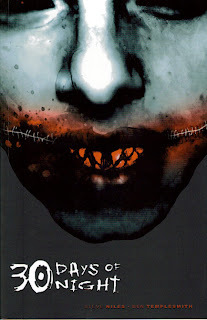 #1, I haven’t read anything horror related in a while and it was Halloween after all. And #2, I have worked at IDW Publishing for over a year—it’s probably about time I got around to reading the book that put them on the map 10 years ago! 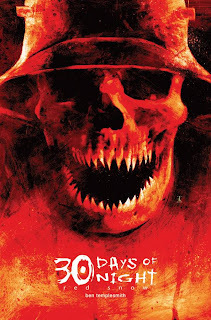 I’ve recently been working with “30 Days” co-creator and artist Ben Templesmith. He’s just completed the artwork on G.I. JOE: ORIGINS #12 (out this February! ), an issue featuring the Baroness! Anyway, to be fair, I don’t read a lot of horror. I don’t see a lot of horror movies. So, maybe it’s just not the genre for me. But that’s not really fair. I just don’t like horror that isn’t well done—where the craft isn’t there. I recommend the first and third books: "30 Days of Night" and “Back to Barrow.” Not that the others are bad, but these two along with “Red Snow” seemed to be the best of the bunch. The reason I enjoyed them more than the rest was because of the honesty. There were real characters in them. The situation flowed logically. But beyond logic, I got to know some of the people who lived in Barrow, Alaska. I started to care for them. Oh, and then the vampires showed up. I spoke with Ben the other day about the books and I told him I got a feeling that reminded me of John Carpenter’s version of “The Thing From Another World” and that I loved that movie. He laughed and told me that was his intention. Turns out he loves that movie too. That was a nice little surprise. My point is, horror--like any genre--comes down to the execution. How well are the world and its rules established--are they followed at all times? Do the characters behave in a logical and consistent way or are they separating themselves off from the group so they can be picked off one by one? "30 Days of Night" manages to create real characters who act in a way that makes sense if the proposed situation were real--and that MAKES it real for the reader. If you like good horror comics that are well told and make sense in the world that they create, then there are some really great stories to read here. If you’re just not a fan of horror, never mind. I was relieved to find out how good most of the “30 Days” stories really are. And made me just a bit happier to be working at IDW: a company that took a chance on a vampire property and watched it succeed because they let good creators do great work. Up next: More Alan Moore! I just got his Superman work in a collected edition. Can't wait to dive in! 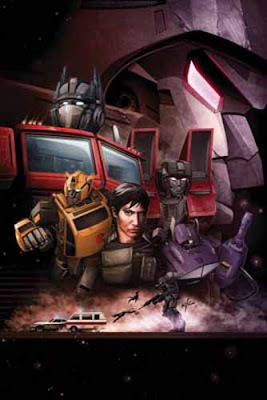 One week before the big launch of the TRANSFORMERS ongoing series that I’m working on with writer Mike Costa and artist Don Figueroa, IDW is releasing TRANSFORMERS: CONTINUUM which is a book I wrote based on the work of the last three years worth of Transformers writers and artists. I’m not claiming to have done anything genius here as it essentially recaps the past events in all the books. That said, if you like Transformers and the new book interests you, then this is for you! I will give you some insight into this project from the writer's perspective, if you're interested. This was an extraordinary challenge. Condensing three-plus years of complex and often unclear continuity into a special like this was incredibly difficult. Deciding what to leave out and what needs to stay and how to rephrase things so that the meaning is clear even if the events aren't exactly how they happened is tough. This was perhaps the most difficult writing assignment I've had to date and I wish we'd had another week or two to massage out the kinks that are still visible. One thing I try to impart to my students in the Comics Writing and Comics Art classes is to view learning as a success. And to view challenges that one overcomes as a success. So, I look at this project and I know it works. And I know that in reading 75 or so comics and trying to distill the events and characters of each issue into two or three captions was a task I had never attempted before. It's a whole different style of writing than I've done before. So, to my mind, I learned a lot and so, for me personally, there's a lot to be proud of. But instead of dwelling on how challenging the project was for me, let me talk a bit about what I think really does work. I was able to pick up some of the themes and character traits that will be explored in the new ongoing series and moved some of those to the foreground in CONTINUUM giving just a subtle taste of what lies ahead for the Transformers in the ongoing. Nothing to overt, but it’s there. And ultimately, that’s why I wrote the book myself—no one else seemed to want to write it and I had access to what was coming up so, to whatever extent, I could tailor it to that end. Additionally, it does boil down 75 issues into a single issue. Some events are glossed over more than others and some story elements are condensed into one for ease of reading. For example, there are two organizations that weave throughout several issues. They're called the Machination and Sky Watch. I made the decision just to reference Sky Watch because it worked for the narrative and a new reader (and that's who this is published for) really doesn't need to know anything about the Machination for a while. So, I just went with Sky Watch in the recap book. I'm sure die hard fans will notice and think I've deleted something from their continuity, when really, all I did was downplay it. This book doesn't rewrite events. It's a primer for the new series. So, as much as I learned on this one, I think the project is a success. It accomplishes what it set out to do--but with every project--I just wish we had more time to smooth it out even more. This was one big step in my writing journey and I hope if you pick it up, that you enjoy it. The previous creators, especially Simon Furman and Shane McCarthy have told some incredible stories and turned a lot of heads. I hope they feel I did their work justice. The book features a brand new cover by artist Ken Christensen and is 32-pages of content. As always, thanks for reading and I hope you enjoy the book. Christos Gage, co-writer of G.I. 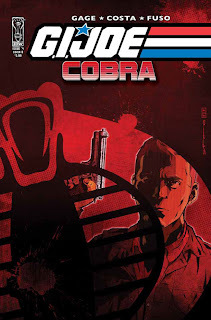 JOE: COBRA along with Mike Costa and artist Antonio Fuso emailed me today to let me know that our little book that could just got named “Book of the Month” at iFanboy! This is the mini-series that just really turned heads in IDW’s recent G.I. JOE launch at the beginning of the year and now the collected edition is out with a pretty darn cool extra feature! Here’s a link to the article itself! All of the creators involved really out did themselves, culminating in the single most difficult comic book I think I ever edited. The G.I. 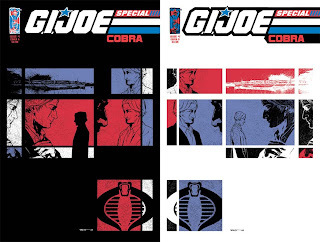 JOE: COBRA SPECIAL was told entirely in mirror-image pages, much like WATCHMEN #5 was. I’m not taking anything away from WATCHMEN as it’s brilliant on every level, but the work on this book by the creators is just magnificent. Every panel’s composition mirror’s it’s opposite precisely (see the excerpt from the extras at the bottom of this article for examples). The same number and (mirrored) placement of word balloons and captions is meticulous. And colorist Lovern Kindzerski deserves a special mention as he even used “mirrored” or opposite color hues in the corresponding panels. So a blue object on one page would have a corresponding orange object on the other. The level of thought and precision going into making that issue was something I’d not seen before. While that final issue is spectacular (and yes, there’s a good reason for the mirrored-image device), I have to say that the whole mini-series took even me by surprise, and the initial concept was my idea! I thought it would be fun to have a member of G.I. 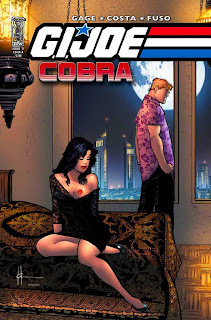 Joe go undercover into Cobra before we really knew what Cobra was all about in the relaunch—and it was. But I never imagined it would be so poignant and subtle and entertaining and gripping. It’s very rare that an entire creative team have the same vision, but this is one of those rare cases. If you’ve got the extra time and cash—heck, even if you don’t—give G.I. 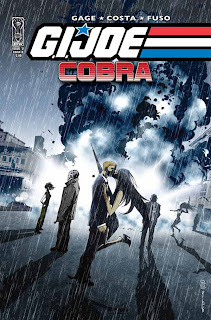 JOE: COBRA a read. Even if you don’t like G.I. Joe, you might want to give it try. It’s a great story that’s easy for any adult to enjoy. I spent the better part of my Saturday reading the current “Intro to Comics Writing” class scripts. Their first full draft of their scripts was due last week and I’ve been reading them one by one and giving feedback. And this is just one of the reasons why I love teaching these courses. These scripts are great. I’m giving feedback and as I’m going I’m just more and more impressed with what these writers are capable of. They exceed my expectations every time and it reminds me why I love comics and teaching the classes. They’re experimenting and pushing boundaries. One of the reasons I have them do a first draft, then give comments, and have them do a rewrite, is so they’ve got a safety net, so to speak. They can try something out of the ordinary and get some feedback on how it works before the final draft—they can either change it, refine it, or let it ride as is. Some of them experimented with layout design, others with the boundaries of word and picture associations. Some experimented with timing and even color. I love it. It reminds me to push boundaries in my own work as a writer and as an editor at IDW. In this case, most of what this group has tried to do has worked. This was a really fantastic bunch of scripts I’ve been reading. And the more I read of their scripts the more excited I get to jump onto my own writing for myself. It never stops to amaze me how inspiring my students are to me. So, if you’re reading this, guys, thanks for the inspiration! It’s the 5th of November which has three significant points of note for me. First and foremost, it’s my grandmother’s birthday. She passed away just a few years ago but I remember it every year and think about all the things I loved about her. Most of those memories are from my early childhood. Secondly, our family dog Max came home with us on the 5th of November. We loved that dog! He was awesome—the uber hunt! But yeah, he died too. I still love Max. 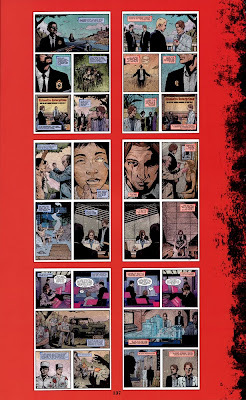 And lastly (and why it makes the blog) is that it’s significant to my favorite comics series I’ve ever read. 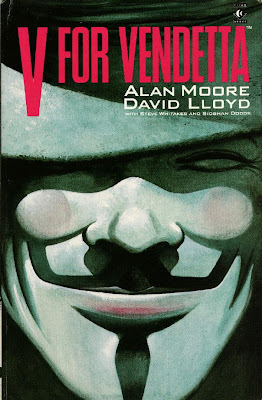 “V for Vendetta” has a weird publishing history that you can read about on Wikipedia all you want. I’ve only read it as a collected volume and it’s an odd read. I’ve never thought it was a gripping read from page 1. In fact, I can’t even tell you at what point I get sucked into it. What I do know, is that I start it, and I’m ready to put it down and then—somewhere in between page 1 and page 30—I can’t conceive of putting it down. I’ll get into what I love about the book in another blog sometime. This one is about the day. So every 5th of November I take time out to remember not just Guy Fawkes, but my grandmother and my favorite dog too. No matter what else is going on, I always end the day with good memories in my head and a great book in my lap. Yesterday, Comic Book Resources put up a big preview of the new TRANSFORMERS #1 I’m editing that comes out this month—on the 18th. If you’re a fan, it’s got spoilers, so beware. If you’re undecided about it but are interested in TRANSFORMERS, check it out. Something big happens in the preview. But have no fear, that’s not the only surprise in the book! The preview is located here. Today, CBR put up an interview with me about the decision revealed in that preview. It’s all story driven—and more importantly—character driven. It may be shocking, but it all makes sense and is consistent with the characters, as they’re known. There’s a lot of talk on many message boards and that’s a good thing. The interview is located here. What’s really exciting about all of this is that people are talking. There’s a thread over on a major TRANSFORMERS website that was 16 pages long within 24 hours of the preview going up. Like it or not, they seem interested. Which is good news. Hopefully, they’ll read the book and judge it on its own merits. I won’t say more now in case some would get spoiled, but I think another post about what goes into making big change decisions is maybe worthwhile. I hope you enjoy the articles and pick up the book. It’s a pretty wild ride!